4 x 6" 8.5 x 11"
Print vibrant portraits or artistic photos by picking up this B&H Kit which includes two 50-sheet packs of 8.5 x 11" Value Photo Paper Glossy from Epson. 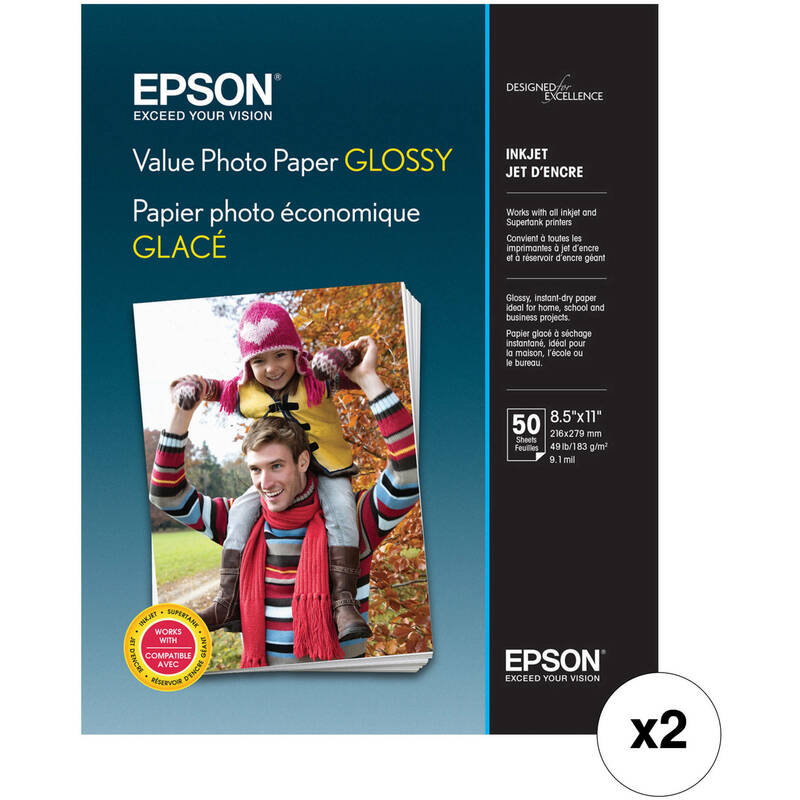 Produce vibrant and sharp prints at home with this 50-pack of 50 Value Photo Paper Glossy from Epson. Offering a medium 183 gsm, or 49 lb, basis weight and a very manageable thickness of 9.1 mil, this instant drying paper can easily become a common option for your household. The glossy media also features a rated opacity of 97% and a brightness of 97%. Box Dimensions (LxWxH) 12.4 x 9.75 x 0.65"